Regular dating can be a tiresome process, especially if you’re unlucky enough to see one date fail after another. That’s why online dating sites exist – to make the dating game a lot easier, comfortable, and more efficient. But even in the world of online dating, people of certain age may have trouble finding a partner considering most of them have acquired a taste and preference over the years. 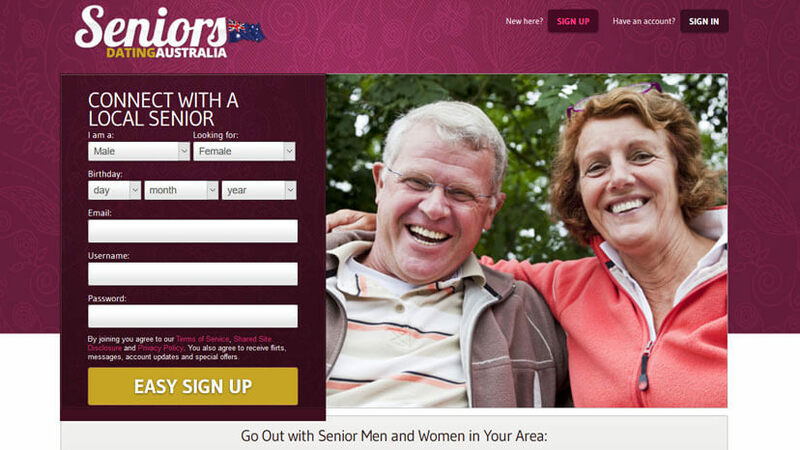 Luckily for them, there is a website that can help them out, and its name is Seniors Dating Australia. When you’re in your 20s, it’s that much easier to find a partner due to young people being more open-minded and ready for new experiences. But as we grow older, these factors deteriorate and we usually establish what we do and do not like. The same rule applies to dating, and Seniors Dating Australia knows that. Instead of making you dance around and spend time and energy on the dating game, this website goes straight to the point as it offers you to become a member and start looking for a potential partner as soon as possible. 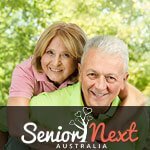 Join Seniors Dating Australia and Find Someone Special! 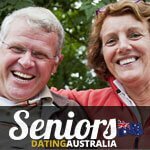 All those who say that online dating is killing the romance are wrong, and Seniors Dating Australia is here to prove it. From all the dating services we’ve reviewed so far, this website has one of the best layouts so far. Each button and line of text on this site are clearly visible and easy-to-navigate, while the color scheme gives off the impression that Seniors Dating Australia values true love over everything else. The site also takes pride in its features, but we’ll get to that soon enough. 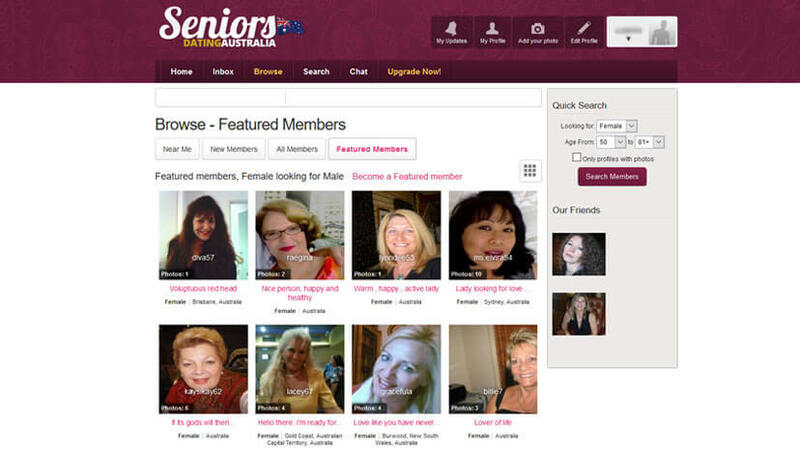 In case you haven’t noticed before, Seniors Dating Australia is a free dating site! The membership we talked about above doesn’t require any fee, which means you can become a user in just a few clicks of the mouse. As a free member, you can create a profile, edit your info, browse through members and even send so-called flirts. However, opting out to become a Premium Member will really open the door towards a lot of new possibilities for you. After you successfully upgrade your account, you’ll be able to see who’s checking out your profile, send unlimited messages, gain full access to all the profiles on the site, use the advanced search tool and many more. In short, it’s really worth every penny! Not only do Premium accounts show up more frequently in searches, but this also means that a vast number of people deliberately opted out to use all of the website’s features, which proves how good its services are! As the name says it, Seniors Dating Australia mostly operates on a local level, which is a big plus. Nonetheless, there are quite a few non-Australian members here as well, so you’re bound to find someone you like on this awesome dating platform. All-in-all, there aren’t that many online dating sites for seniors that can actually boast in quick and viable results. Seniors Dating Australia certainly can, which is why you should most definitely check it out!